Kevin Michael Allin, born on this day 55 years ago as Jesus Christ Allin, would become known to the world as G.G. Allin - the most infamous Rock and Roll icon of all time. AGGRONAUTIX is celebrating his legacy this week by offering some new G.G. items and discounting all other exsisting items. First, the new item... a G.G. Allin portrait by John Wayne Gacy. This is an 18 x 24 replica poster of the G.G. Allin portrait that John Wayne Gacy painted for the HATED's original theatrical release. This was painted in Gacy’s jail cell on death row, two years before his execution. A must have for any fan or collector. Only about 30 or so left! Next, we are discounting the ever-popular G.G. Allin - 1991 Condensed Carnage Throbblehead to just $10. This ghoulish effigy is a smaller version of the original G.G. "1991" limited edition throbblehead that quickly sold out. The figure stands at 5 inches tall and is made of a lightweight polyresin. Displayed in a window box, here GG is accurately sculpted right down to the tattoos, blood, and filth. Mount him on your dash or on your hood, carry him in your your pocket, take him everywhere! We are also discounting the G.G. Allin Latex Mask by $10. This is the officially licensed unlimited DISPLAY ONLY 2nd edition latex mask by SikRik. The 1st edition, limited to 35 numbered copies, sold out in less than 24 hours. Other G.G. items include G.G. 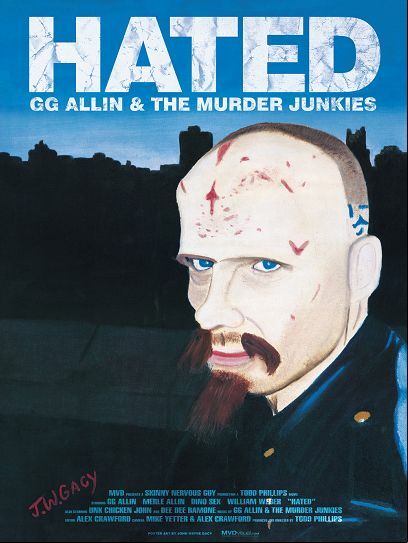 Allin HATED Special Edition DVD (discounted to $15), the G.G. Allin & The AIDS Brigade - Live In Boston 1989 DVD(discounted to $15), and the G.G. 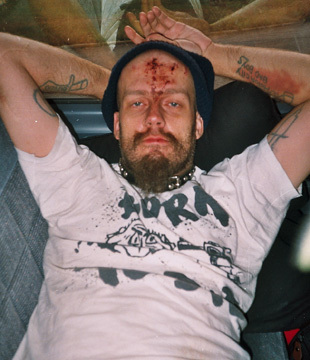 Allin - Freaks, Faggots, Drunks and Junkies VINYL (discounted to $15). The life is full of enjoyment and source of different happening as up and downs seen here in life. The matter of real good and quality return seen in order for ideal need. The working of writers services is become necessary in many colleges.